A USD10 million injection of capital into Rift Valley Railway will keep the troubled rail operator in business and with less risk of having the concession cancelled. And according to The Nation newspaper, the injection of capital has to be completed by 10 March for the maintenance of RVR’s fleet of diesel-electric locomotives. In addition, says the paper, RVR has paid USD2m and USD1m to the governments of Kenya and Uganda respectively to cover outstanding concession fees, thus forestalling for now any possibility of the concession agreement being declared null and void. Meanwhile, shareholders have taken part in a rights issue approved by the company’s board last October, with the exception of Australian shareholder Babcock Brown. The largest single injection of capital came from Sheltam Rail, which holds a 35 percent share in RVR, although it is claimed widely in East Africa that this money came from the Egyptians who recently purchased 49 percent of Sheltam Rail. Recent developments in Uganda’s emerging oil industry has heightened the need for a more efficient and reliable railway. Sixteen international rail builders have submitted bids to build a new standard gauge railway between the port of Mombasa and the Lake Victoria harbour town of Kisumu and the Kenya/Uganda border post at Malaba. A Request for Proposals closed last Friday (5 February) and an evaluation process will now be undertaken, with the intention of completing further studies by March 2011 and a commencement of construction in November 2011. It is hoped to have the 530km section of new railway completed between Mombasa and Nairobi in 2013 and the entire section to Malaba and Kisumu, some 1,300km in all, completed in 2016. The Kenyan government believes this will enable the operation of high speed 4,000-tonne freight trains in addition to fast passenger trains. Further extensions of the standard gauge railway are planned with Uganda to extend the railway from Malaba to Kampala, while other future standard gauge railways between Lamu and Juba and Nairobi and Addis Ababa in Ethiopia are contemplated. “There are a number of options being considered for QE2. Istithmar World is considering which option will best maximise value of the vessel,” a Istithmar spokesperson said in a statement on Monday. One of the other assets reported to be for sale is the Canadian circus group Cirque du Soleil. The crisis around Dubai World and Istithmar World broke last November when the state-owned group announced it was seeking to delay debt-servicing payments and would be requiring capital refinancing. Since then it has been learned that Dubai World is having to offload assets as it restructures debt worth USD22 billion. According to the Middle East publication Maktoob Business, while the company has ring-fenced prized possessions such as DP World, it could end up selling other assets including troubled property subsidiaries Nakheel and Limitless. Among the property assets held by Nakheel is Cape Town’s V&A; Waterfront. Last week Istithmar, the investment arm of Dubai World, revealed that it was in talks to sell Inchcape Shipping Services, the internationally-known UK-based agent. Reports say that Bank of America Merrill Lynch and Royal Bank of Scotland are advising Istithmar on the sale of Inchcape, which has about 245 offices in 63 countries. Inchcape is one of Istithmar’s few successful investments. Between 2006 and 2008 Istithmar went on a leverage-fuelled buying spree, snapping up brand names from around the world. These included investments in Standard Chartered Bank, which in turn is one of Dubai World’s main creditors. A number of private equity firms are reported to be preparing to bid on Inchcape. These include the US companies Advent International, TPG Capital and Kohlberg Kravis Roberts, along with Cinven, Charterhouse Capital Partners and Montagu Private Equity from the UK. It is thought that Dubai World will try to sell its assets individually rather than as a portfolio. It’s not all plain sailing for the visit to Simon’s Town of the British nuclear submarine HMS SCEPTRE, after an anti-nuclear pressure group, Koeberg Alert Alliance reacted with alarm to the news. 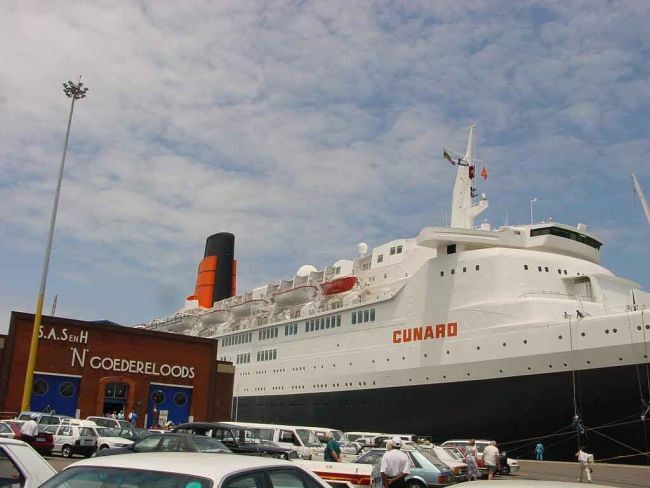 Earlier, application had been made to the National Nuclear Regulator for the visit by the ageing ship which is due to be taken out of service in the near future. According to the chairman of the Alliance, Sceptre comes with an alarming history of mishaps that have included a collision in the 1980s, a coolant leak in 1990, an on-board fire the following year, a defect in the reactor which was discovered in 1998 and an unspecified drydock accident in 2000. The planned visit follows a number of recent visits by nuclear powered naval ships including a US submarine, the US aircraft carrier USS Theodore Roosevelt, and the Russian battlecruiser Peter the Great. According to the South African Navy’s application, the visit to Simon’s Town is scheduled to take place between 18 and 29 March 2010. 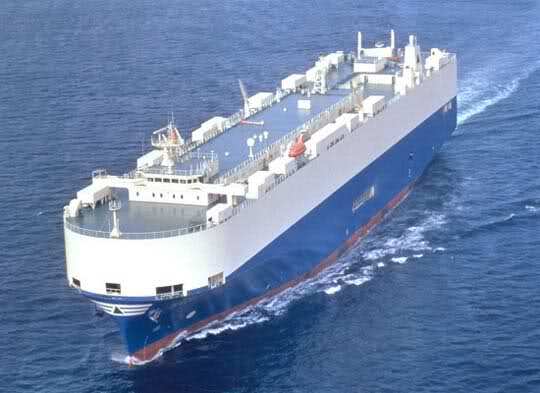 According to Iran’s English language Press TV station, the highjacked car carrier ASIAN GLORY, seized by Somali pirates in early January, is loaded not only with over 2000 motor vehicles but a large supply of weapons intended for Saudi Arabia. The report claims the weapons on the UK-flagged ship are intended for use by Saudi forces against Yemen’s rebel Houthi fighters. 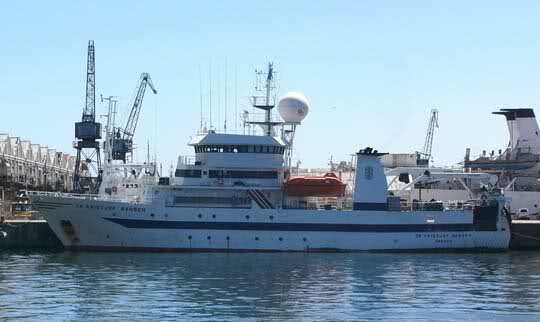 Pirates are demanding a record ransom of USD15 million for the release of the ship and crew of 25. If the vessel is carrying weapons the pirates are likely to take possession of any firearms and machine guns for their own use, much as they did with heavy machine guns found on another captured ship, the Ukrainian FAINA. The Seychelles has agreed to allow captured Somali pirates to be tried in Seychellois courts after the island country received guarantees from the EU that they would be sent back to Somalia to serve their sentences. French news agency AFP quotes a Seychellois government minister as saying that pirates caught by the EU’s anti-piracy naval force operating in the western Indian Ocean would be accepted for trial in the Seychelles. However, the country lacked facilities to jail pirates and wanted guarantees that they could be returned to Somalia where they would serve their sentences. The new deal would not come into effect for at least six months however, as the islands’ only prison is being revamped and lacks suitable accommodation. The country also needs to enact a law to deal with ‘conspiracy to commit an act of piracy’. Ships agency and logistics provider GAC says it is reaching out to mariners with the Sailors' Society in the Year of the Seafarer. In a statement issued yesterday (Monday) GAC said that as the global maritime community marks the Year of the Seafarer, the GAC Group would be lending its experience and global reach to help the international maritime welfare charity, the Sailors' Society. “2010 has been dedicated to mariners around the world by the International Maritime Organisation (IMO), paying tribute to the vital role they play in global trade, encouraging young people to enter careers at sea and promoting greater understanding of the many issues seafarers face. GAC said that its boarding officers will also share directories of the charity's contact details with ships' Captains and crews, providing seafarers and their families with access to a valuable source of practical and emotional support at times of need. “Many GAC managers started their working lives at sea, so we appreciate the essential role that sailors play in our industry and understand the challenges they face,” says GAC Group President Lars Safverstrom. 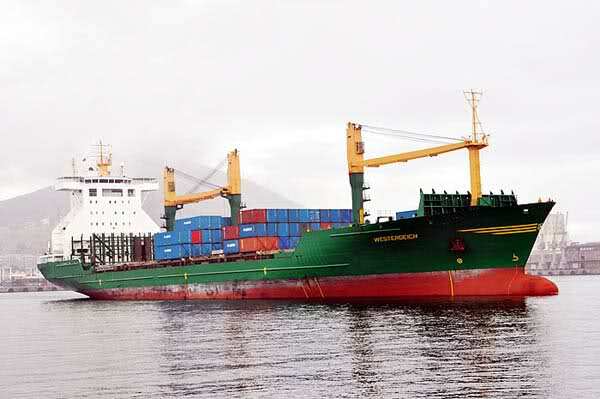 The owners of a foreign-owned handsyize tanker, MT LOVELL SEA has been found guilty in a Nigerian Federal High Court of contravening Nigeria’s Cabotage Act and fined N10 million (USD66,000) in damages, payable to the Indigenous Shipowners Association of Nigeria (ISAN). 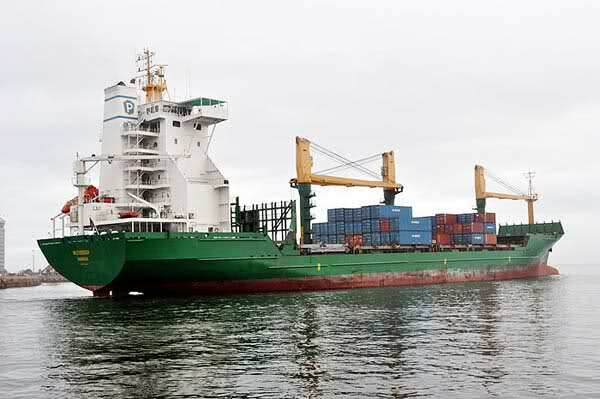 The Lovell Sea was arrested in August 2009 and detained at Ibafon Jetty pending the trial, while the ship’s master and owners were taken before the Federal High Court in Lagos. They were accused of lifting petroleum products illegally on Nigeria’s coastal waters. ISAN’s director-general said afterwards that the trial was a victory for the maritime administration, NIMASA, and was a true test of the country’s cabotage law. He said his association had instituted necessary measures to ensure that all Nigerian vessels were in class to enable them to handle all forms of contract within Nigeria’s coastal waters. In a move aimed at improving Nigeria’s ability to place more freight on rail, the Nigerian Railway Corporation took delivery last Friday of five new C25 diesel-electric locomotives at the port of Apapa. A further 20 locomotives are on order from General Electric. NRC recently sent a number of locomotive drivers to South Africa for an intensive driver training course on this type of locomotive. 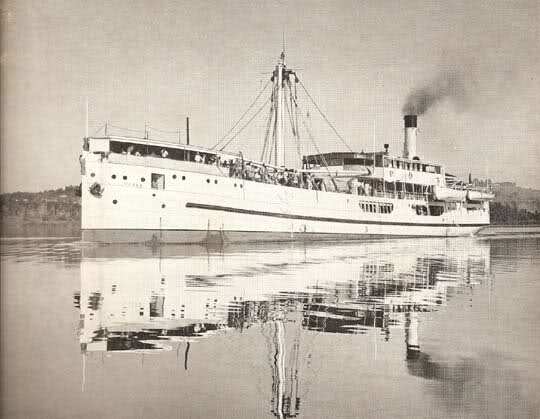 Kampala — The once vibrant lake traffic of East Africa is but a pale shadow of its former glory, and although the Jinja Pier on Lake Victoria is slowly crawling back to life, as George Bita found out, it still has a long way to go to regain its past glory. Read more HERE. If you have any suggestions for a good read please send the link to info@ports.co.za and put GOOD READ in the subject line. Did you know that Ports & Ships lists ship movements for all southern African ports between Walvis Bay on the West Coast and Mombasa on the East Coast?